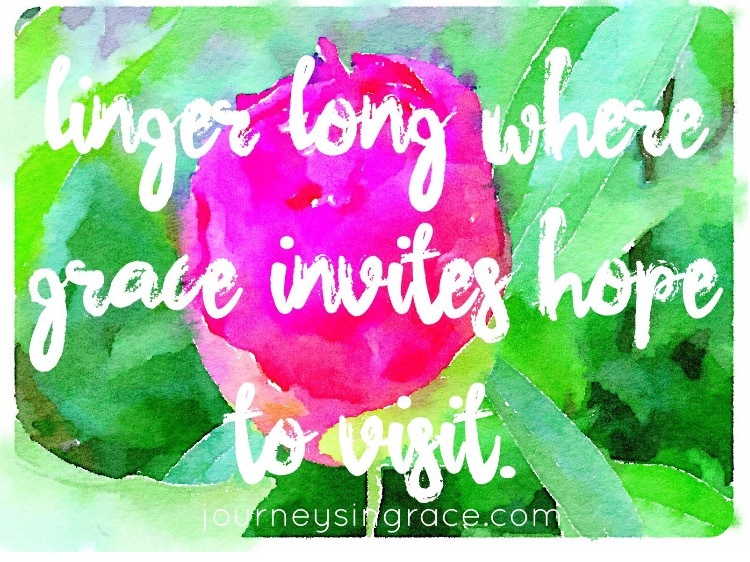 I was reminded of the redeeming place grace has in our lives when we linger at the table of hospitality and open wide the door of hope-filled seeking. It made me think of the way the Lord opened the door for the #GraceMoments Link Up to begin and the good plans he always has in store for us. 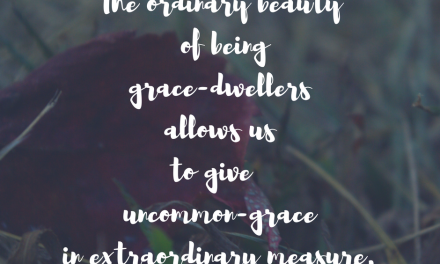 This past Saturday as I sat around a table with friends, building relationship and communing in grace together, I was reminded of the way He shows up in our moments and fills us by His fullness. I was overwhelmed with thankfulness because so much of me wants to ignore the art of fellowship. My introvert inside likes the quiet that solitude brings. It took navigation to make it happen though. Intentional relationships, which forge grace-ties in life, allow us to heal with love, hope in abundance, and offer blessing in so many ways to others. It takes purpose and determination to plant seeds of friendship knowing that in order for it to survive and grow some staking and weeding will be required before the fruit blooms. There was a time when the effort would not have been a welcome invitation; because life gets busy and one gets tired of trying to fit in and fearing rejection. But when grace fills the welcome, a reminder that His sufficiency is poured lavishly…and the best yes becomes a door to see His goodness… and somehow there is room to start again at the door of beginning new and stealing seconds to live together with focus. These women meeting here with me once a month come close with no expectation. They come to commune on the pieces of beauty that make up His offering to us, to pray for a change in hearts and to bleed the existing together…to matter…to be counted. And I marvel at the way He knows what we need long before I ever really do. And I am grateful for the invitations that show Him faithful. And I want to relish the wonder of wonders saying yes to God produces. Today, I am traveling home from 3 days spent pouring heart and hope into eager souls. 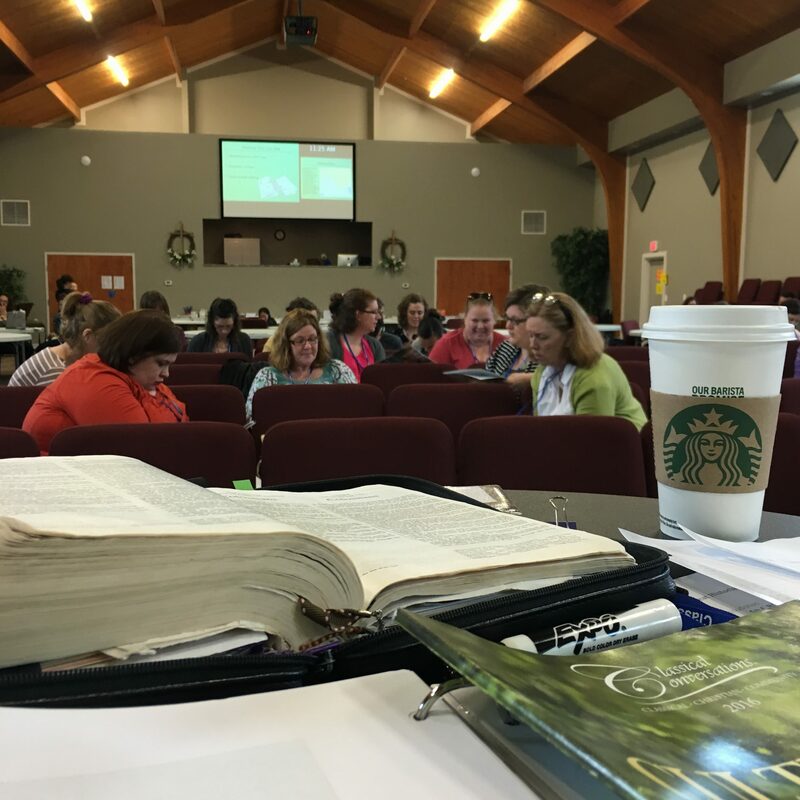 Truly, I felt beyond inadequate to share and to equip, but I did feel called. When He calls you, He equips you to spill Him out. When He opens the door, we have to walk through. He will meet us there with His sufficiency. He will lead the way. He will prepare hearts to catch the grace seed and will shower each fertile field so hope can bloom strong. Because we can all be encouragers. We can all choose to say, “Here I am Lord! Send me!” And in those places, agape love becomes the currency we spend freely. We purchase memories built on promise and we find abundance is the overflow. It is here, in these places that grace lingers long and we pull a seat over to settle close. We feast on goodness, beauty and truth, and it all starts with a yes to His best. Where is He inviting you to count grace today? 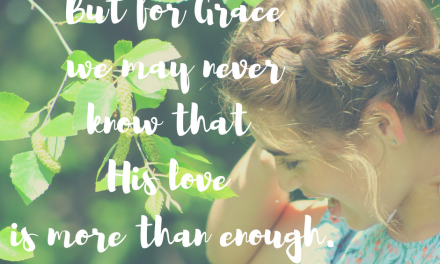 I will never tire of grace because I will never stop needing it. God fills in all the spaces of uncertainty, fear, inadequacy or whatever else it may look like with His grace. For me, I just need to remember this lesson as one that is much for me as for others. Thank you for the space to talk about grace and for the link up. Hey Friend, what sweet blessings to connect with women who are hungry for more of God. Thank you for your graceful words today. Thanks for the linkup too. 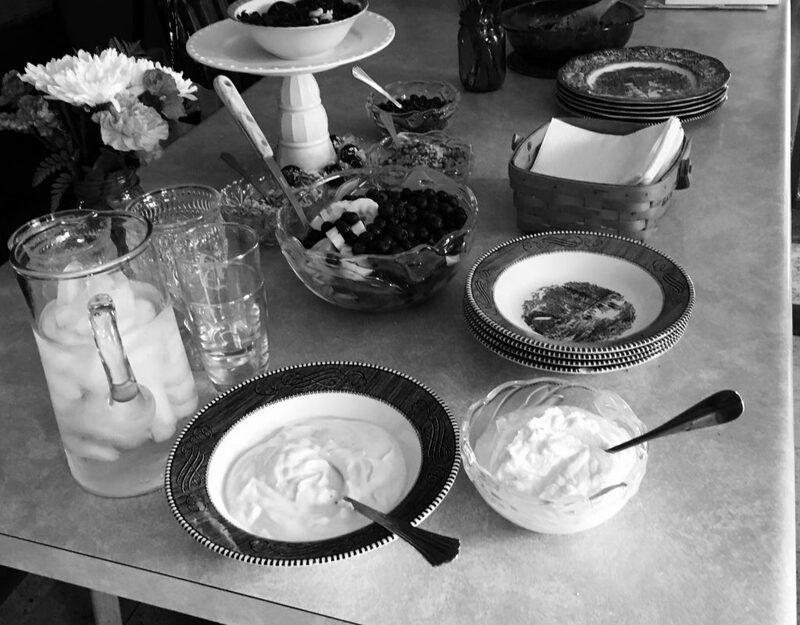 I am so glad that He invites us to the table, and then allows us to share with others. Hope you have a wonderful week after being away!